Kentish Town stands recorded as Kentisston in 1208 and the name seems to be derived from a farm held by someone nicknamed le Kentiss(h) - and means Kentish Farm, but the real history of the name is, however, unknown. It was only coinci¬dence that Charles Pratt, Earl Camden, obtained through his marriage the Manor of Kentish Town in 1791. He in fact took his name from Camden Place in Kent. The Town developed in the later part of the 18th century as an industrialised area of North West London. 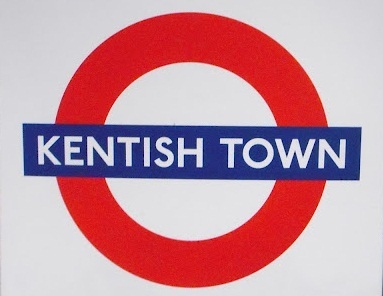 The station was opened as KENTISH TOWN on 22 June 1907. 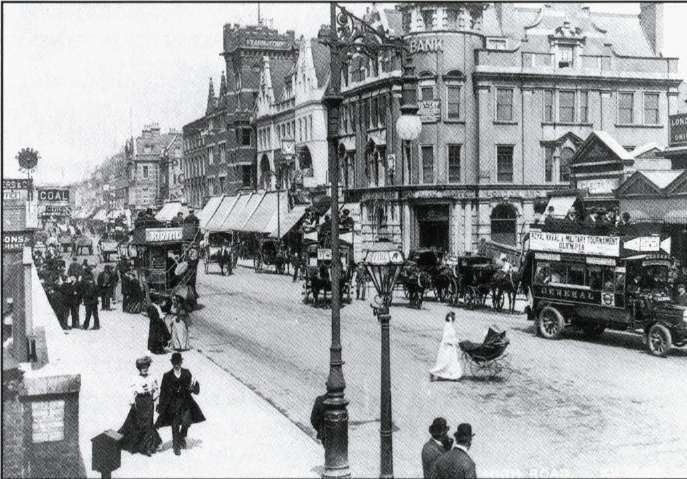 Kilburn High Road in c.1906.